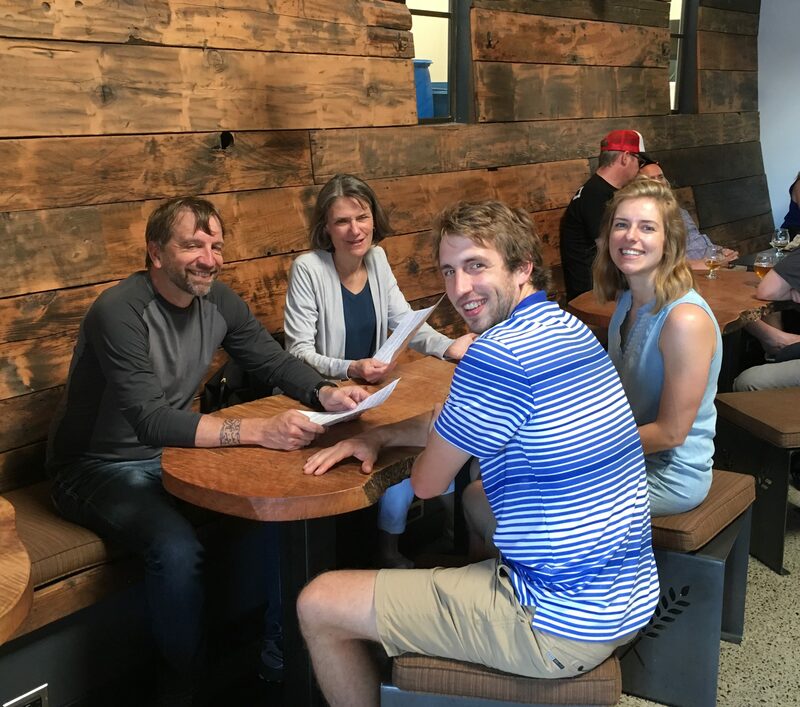 It was a nice Father’s Day gift to me and Ryan’s dad, Ron, who along with Janet Williams, my wonderful Beerchasing spouse joined our group. The five of us enjoyed both the beer and the venue. 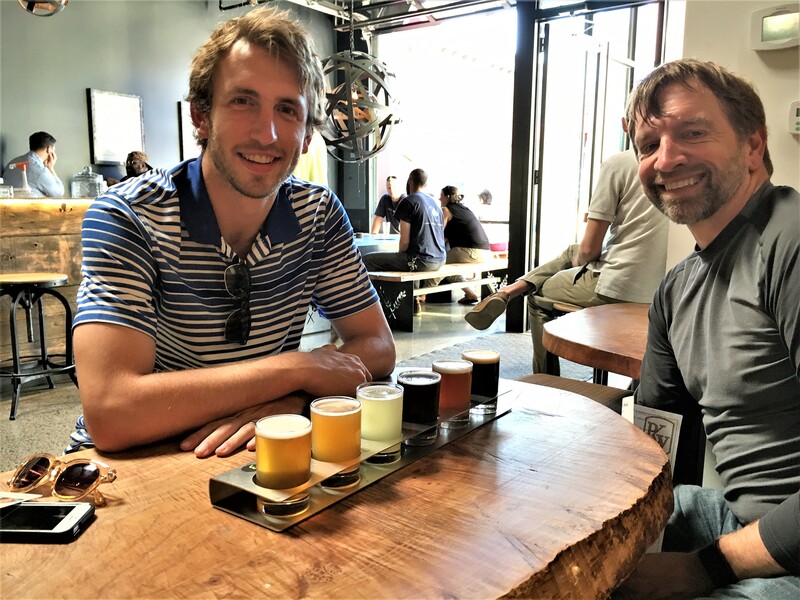 Charlie Johnson, the aforementioned head brewer, has both a masters degree in microbiology and a doctorate in chemical engineering and perhaps considerably more vision in his high school chemistry class than I did. 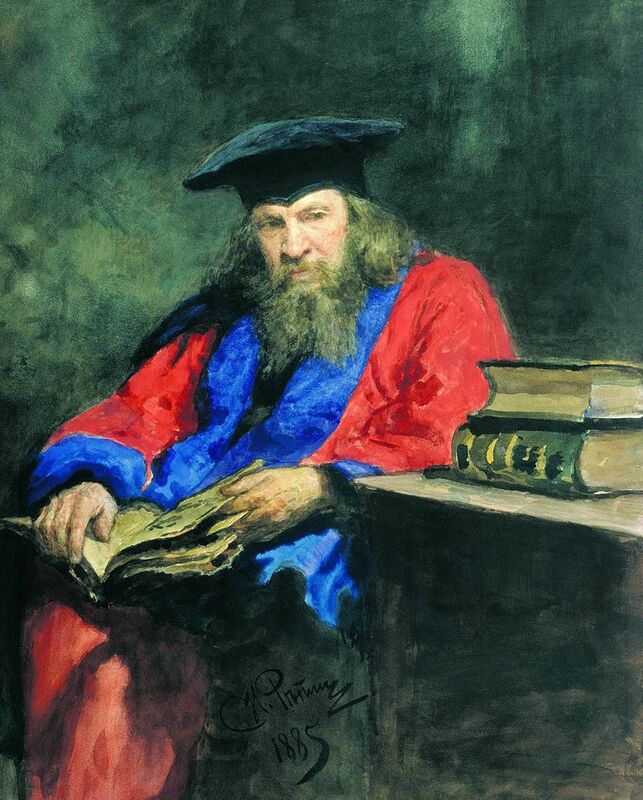 Most of us just tried to understand the logic as to why Iron was abbreviated Fe (Atomic # 26) while Iridium was Ir (Atomic #77) on the Periodic Table of Elements and what Russian chemist Dmitri Mendeleev was trying to prove when he created it. The LB is a great place to taste beers from smaller breweries with the four guest taps hosting Freemont, Sierra Nevada and Cascade Lakes breweries when we were there. But you can also experiment with BL’s own innovative beers with ten on tap. Ryan and Ron try a $12 sampler with six different beers. We tried two of their samplers and were able, with the six beers on each tray, to try most of the options. And the samplers are reasonably priced at $12 for six four-ounce pours. Our two favorites were the BL Falcon IPA and the Cascade Lakes Brewing’s Salted Caramel Porter. BL’s Yuzu Mimosa (Kettle Soured Golden Ale) and Gose in Your Mouth both had plenty of pucker power! Given their business model, it’s understandable while LB chose not to provide food service – at least not right away – but that does not seem to be a problem. Multiple parties were ordering food from Tamale Boy, right next door and the offerings (which they will deliver to the Labrewatory when ready) looked very good i.e. reasonable prices and expansive menu – while also getting stellar review in social media. For example, this 6/21/17 review on Yelp. 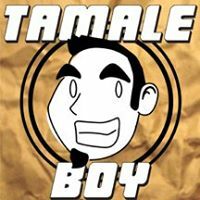 The quality of tamale goes beyond just authentic. A single tamale is $5 but is almost double the size of tamales I’ve eaten in the past. It is plump and avoids being dry. Wrapped in a freshly steamed leaf, you can tell care went into its production…..The salsa that accompanied the had a great tang, on the spicy side with fresh chunks of cilantro and tomato- excellent! 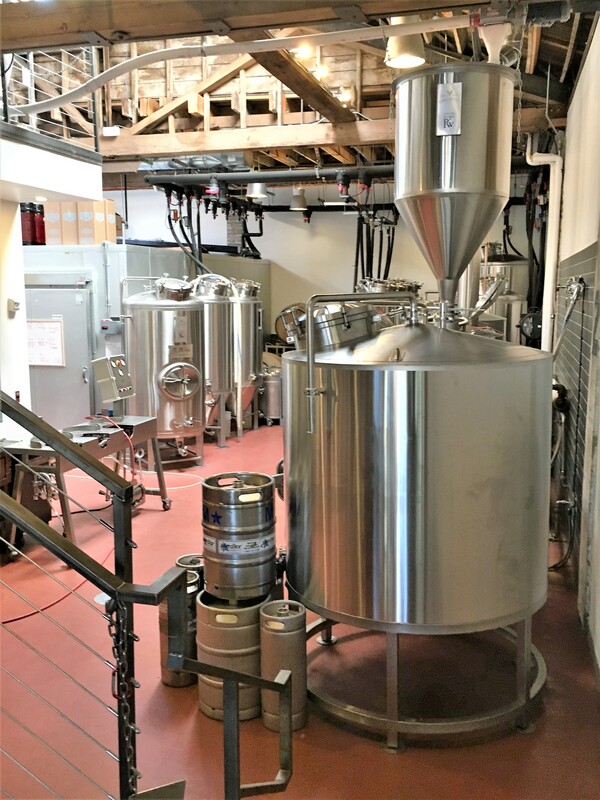 Where the innovative brewing takes place…. 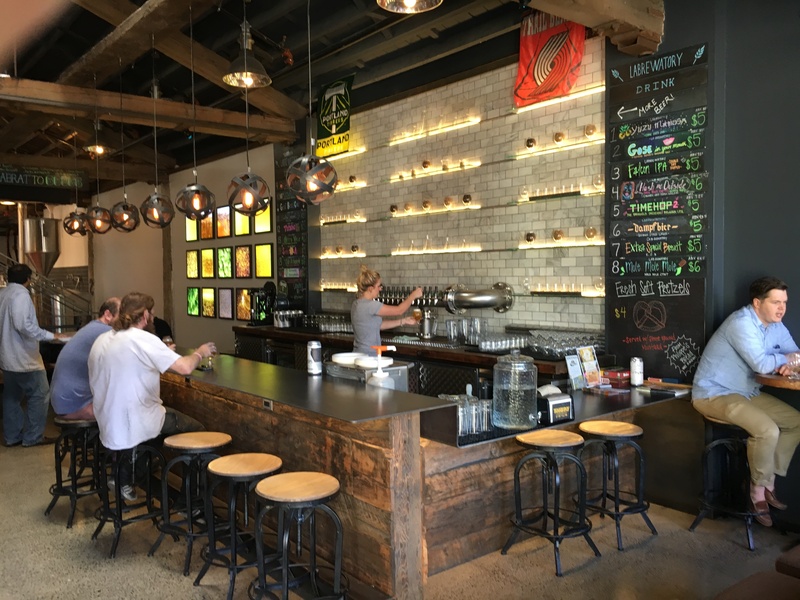 “The beer was brewed during the December 2015 @PDXBottleShare event held in our taproom. Participants brought in a bottle of beer to share…and a bag of hops to contribute to the brew. 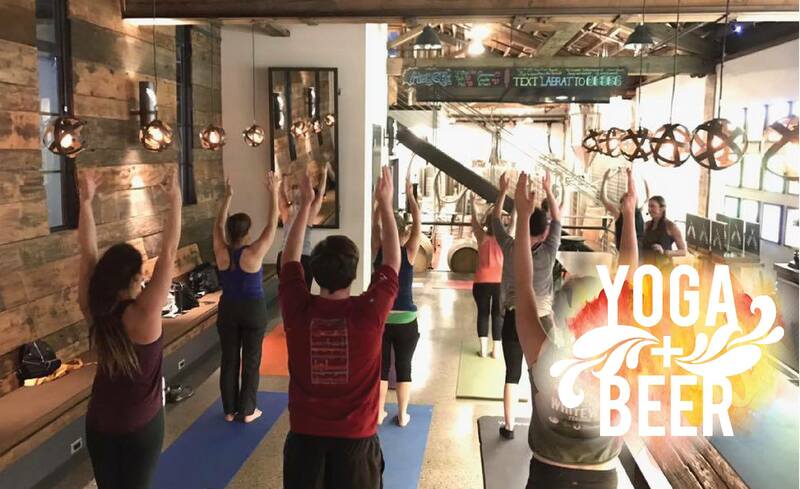 Monday nights are Yoga + Beer nights in Portland! 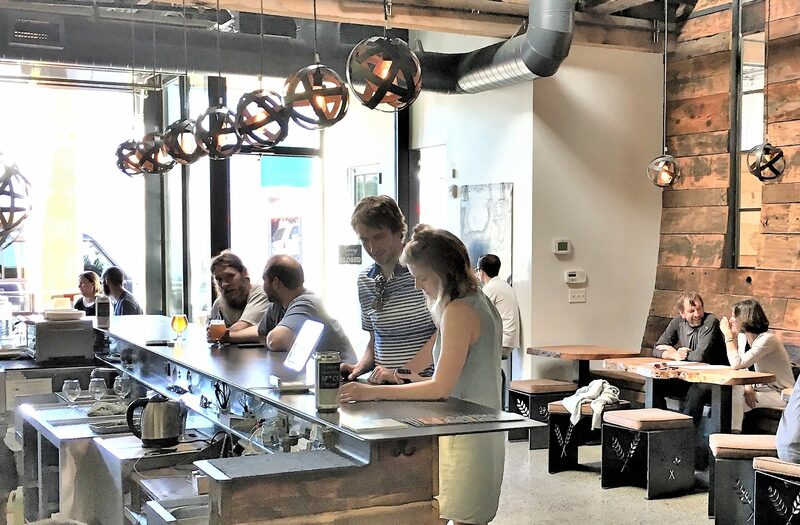 The last Monday of each month is our class at Labrewatory…..After class we roll up our mats, spread out the tables and enjoy pints of their most recent (and tasty!) concoctions. This detox + retox class, led by Yoga + Beer instructor, Jana Bedard, is an all-levels flow yoga class. 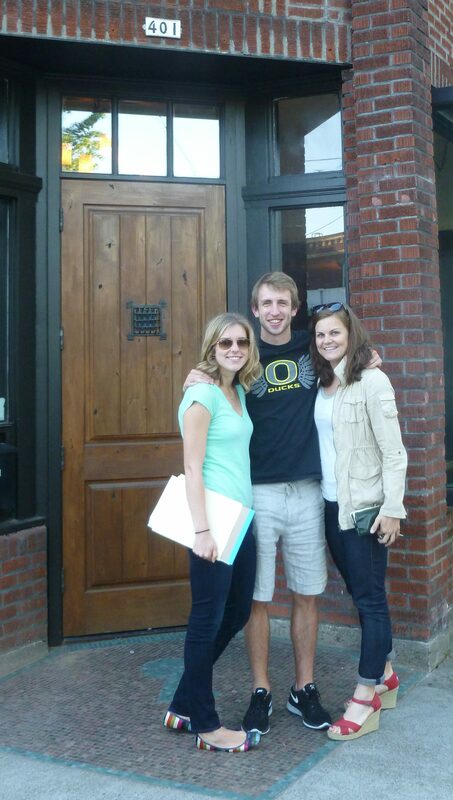 After class, yogis are invited to stay to enjoy a delicious beer! Yoga and Beer on the last Monday night of each month. There are other interesting stories and perhaps Charlie’s imagination got a little overzealous for one of his first creations. 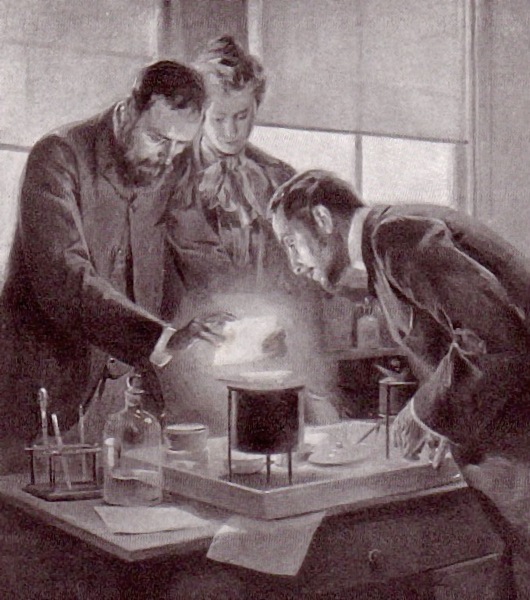 No need to follow the steps of Pierre and Marie Curie when brewing…. Perhaps those experiments go beyond the cutting edge and maybe it’s a good thing Charlie got his PhD in chemical and not nuclear engineering. 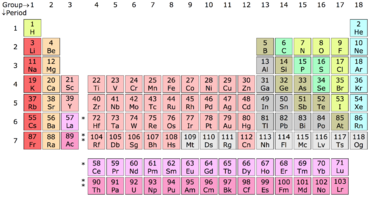 (He might decide to do some brewing with Radium – that’s Ra and atomic number 88 in the Periodic Table.) While I have no problem with brewing creativity, I don’t want to have to use a Geiger counter when having a brewski….. Check out the Labrewatory. You will enjoy it and there are a lot of other good bars nearby if you want to make it an evening.